Patra's Other Place: Some photos from the last few days of 2014. 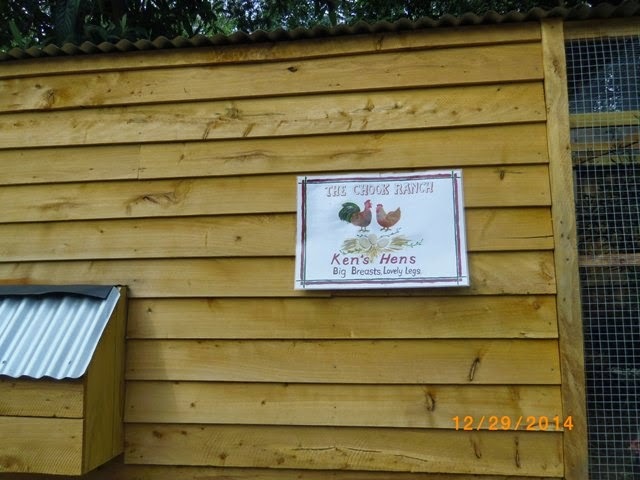 I finally got some photos of our chook house name sign with my camera, so am able to post them here now (had some on the Samsung tablet but it was too much messing around to transfer them here). 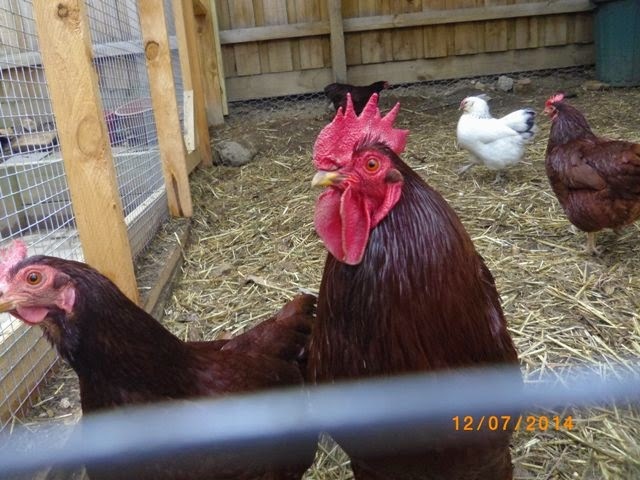 Ralph (the rooster) looks like he is offended at my description of his girls!! 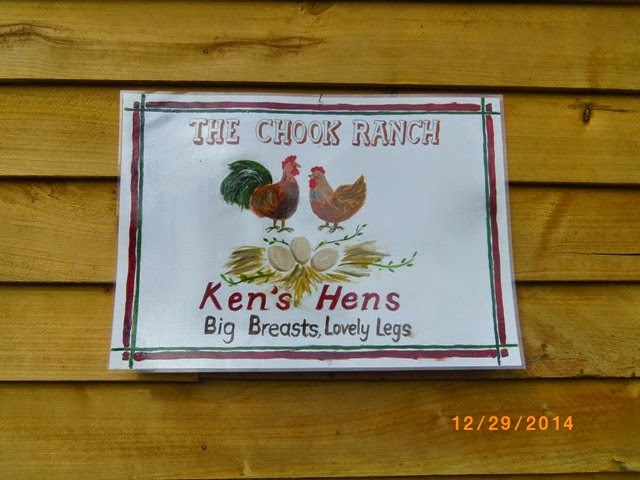 We went to Office Works after Christmas, to get the chook sign laminated. While we were there, we had a look around, as one does at Office Works. 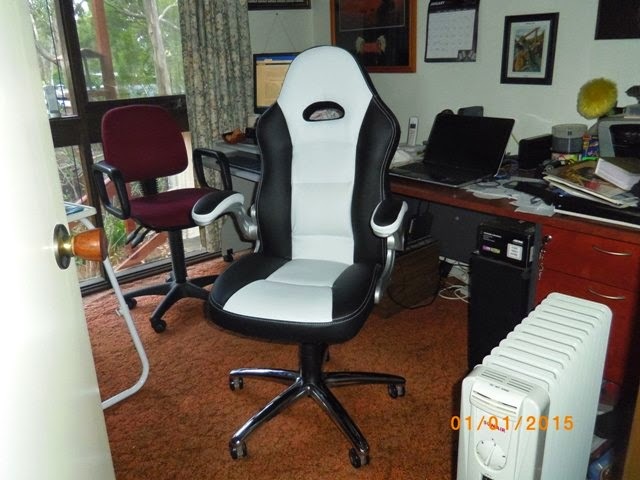 I persuaded Ken to buy himself a new chair for sitting at his desk, as he was using an old kitchen chair which must have been uncomfortable after a few minutes but he never complained. But this? I feel like I'm sharing the room with a killer whale - LOL!